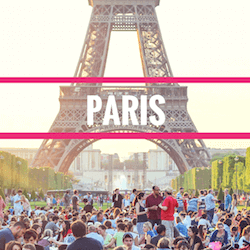 The Paris Marathon is one of the biggest marathons in the world, held in April every year. The competition was first held in 1977 during a period when international marathons had become more popular. 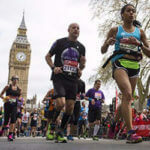 The Paris Marathon itself has become increasingly more famous throughout the years, and over 40000 runners are said to have participated in the latest. Among those 40000, however, the winning titles have belonged to a rather small group, all of which hail from the country of Kenya, in Africa. Paul Longyangata is the current reigning champion of the Paris Marathon, achieving an extremely impressive two hours, six minute, and 25 second completion time. His participation in the race was in defence of his title as the winner from the previous event, and while he was 15 seconds slower this time round, his crown remains untouched. Langyangata is among the top three winners of the competition, with the other two being Ernest Ngeno and Matthew Kisorio, all Kenyan citizens. The winning title on the women’s side also belonged to a Kenyan, this time to Betsy Saina, who completed the marathon in two hours, 22 minutes, and 56 seconds, beating silver medallist Ruth Chepngetich by just three seconds. Kenyans have long dominated the Paris Marathon, and are predicted to remain in the top five winner threshold for the next few marathons, set to take place in coming years. 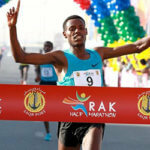 It remains to be seen if Longyangata will be back for the next marathon to defend his title once again. 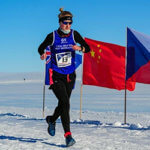 British marathon runner Susannah Gill won the World Marathon Challenge after she completed seven marathons across seven continents over a period of seven days. Gill completed the 295 km event ….